Tubas, Horns, at guaranteed lowest prices. Gold brass mouthpipe and valve casings for long-term precision. Monel pistons are resistant to corrosion and maintain precise fit and smooth action for many years. Hand-lapped valves and slides ensure perfect fit for smooth airflow and action. 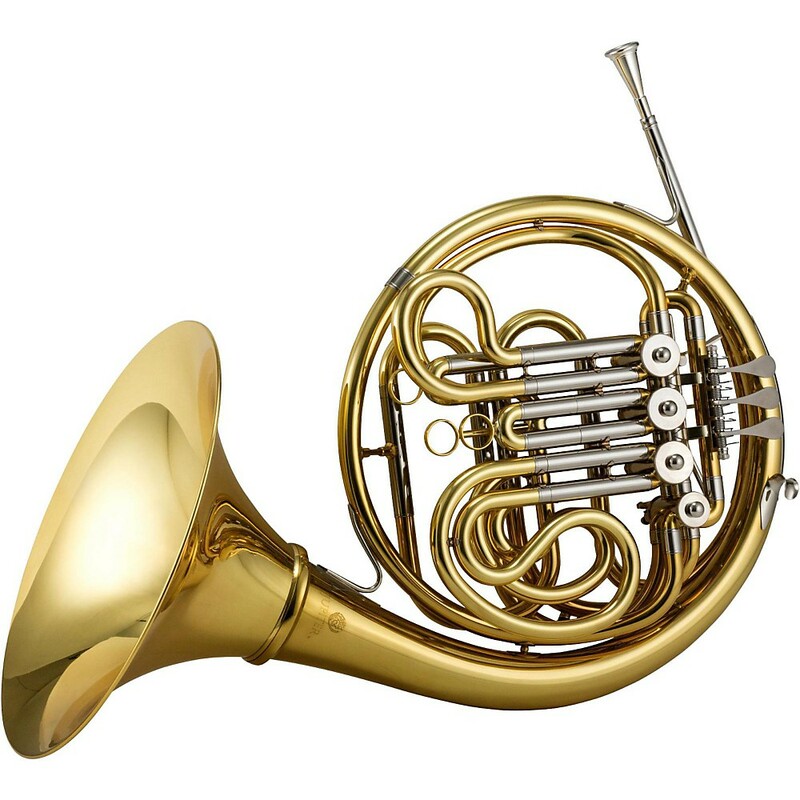 Yamaha baritones and euphoniums are among the most respected instruments in the world. For solid value, engineering excellence, and reliability, Yamaha is second to none. Premium features such as honed valves for zero air leakage, perfectly round pressure-formed tubing for smoother air flow and excellent scale, plus laser-fused pluzuma welded bells for continuous even vibration make these horns great sounding, supremely easy to play, and very durable. All Yamaha wind instruments come with a limited 5-year warranty. 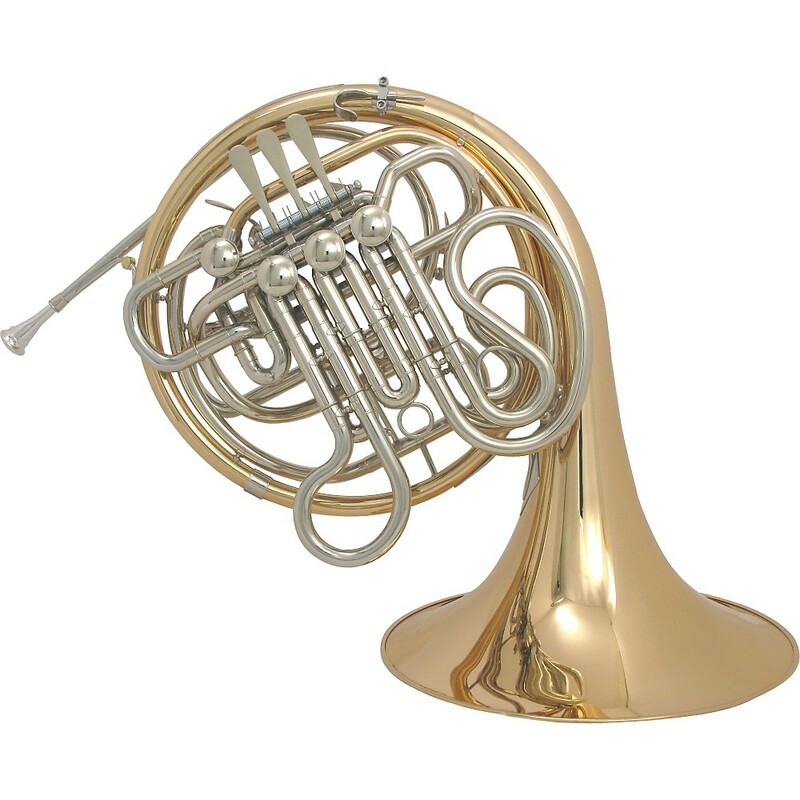 The Miraphone 1293 Series 5-Valve 5/4 CC Tuba is the newest edition to the popular 1290 series from Miraphone. It features a big 19.685" bell and larger 5th valve than previous models. These changes make the tuba more responsive and extremely powerful in the low register. The 1293 comes with both a medium and medium large leadpipe for a customizable feel and sound. The Holton Merker-Matic Series Double French Horns were developed in cooperation with Horn legend Ether Merker. The Holton Merker Series Horns feature a variety of bell designs for a variety of tonal sound and response plus heavyweight valve caps for added mass and resonance. Design features such as its newly designed 4th branch, dual bore, and mouthpipe tapers lead professionals to claim an ease of blowing in all registers as well as an exceptionally quick response and a smooth, precise legato. It is also available as a screw bell model. It has playing characteristics similar to the H179 Farkas, but a darker sound with a good center and projection. Harder nickel silver material responds quickly and sounds brighter up close. Hand-fitted rotary valves are manufactured to precise tolerances to provide quick and effortless response. 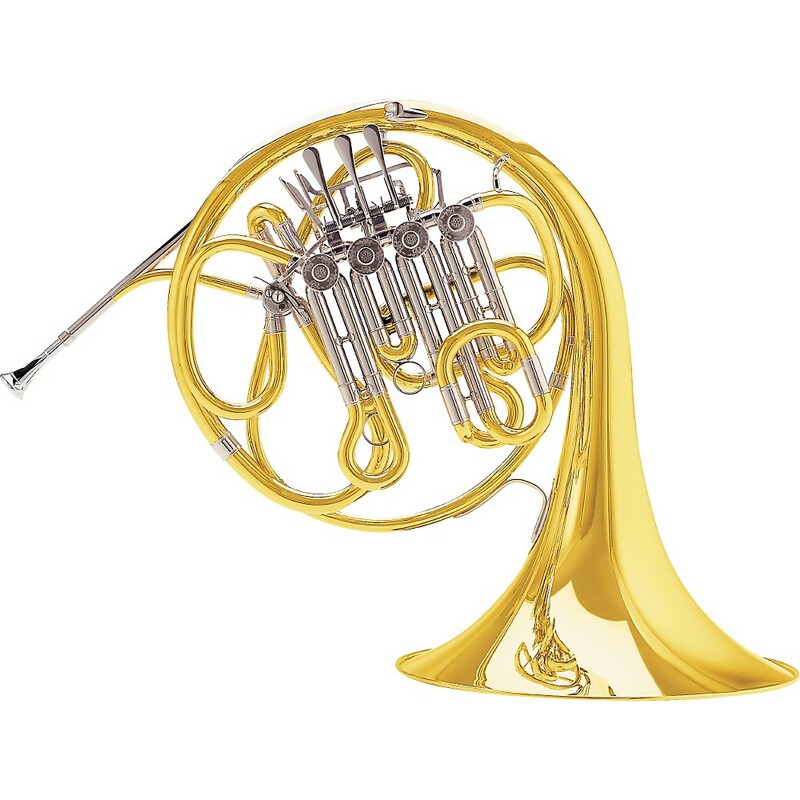 Key of Bb/high F, .468" bore, standard-throat yellow brass bell, A stopping valve, removable H section, tapered rotors and bearings, and clear lacquer finish. L.A. recording artist John Clark says, "With the Conn 12D, I can handle whatever I am required to play. I love the evenness through the registers, the excellent intonation and quick response." The JHR1110D double horn with detachable bell possesses a tonal color and transparency that is well suited for any performance. The Geyer wrap reduces resistance and helps produce remarkable volume. With its many professional features, the JHR1110D will take a student through their collegiate education. Double F/Bb, Screw-On 11.9 Bell, lacquered brass body, rose brass leadpipe, 4 string-link tapered rotary valves, Geyer wrap, .472 bore, wood-frame case (KC-66). Lacquered Brass Body is produced using state of the art technology to ensure an instrument of the most accurate scale and playability. Rose brass leadpipe warms the sound of the instrument and provides enhanced instrument longevity. 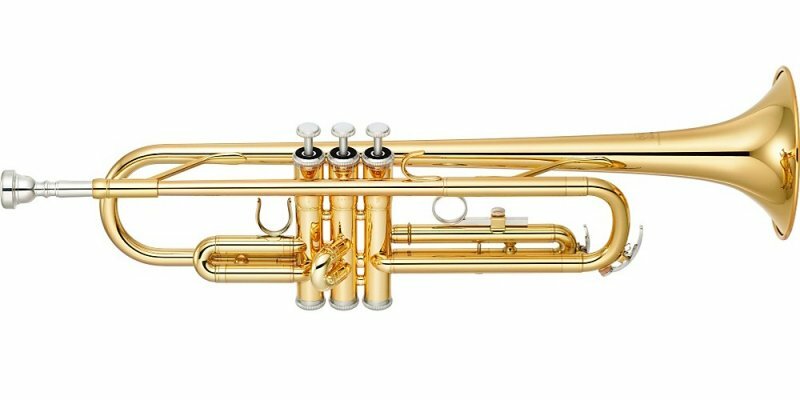 The Yamaha YTR-2330 is the latest version of Yamaha's main student trumpet, an instrument that has assisted in the development of thousands of trumpeters all over the world. Two-piece bell of the YTR-2330 is crafted using state-of-the-art production methods, delivering a consistent, vibrant tone. The balanced weight and addition of an adjustable third valve trigger allows for a natural hand position and promotes proper playing technique, while the water key on the third valve slide adds to the ease of use and over-all playability of the instrument. The newly redesigned, durable yet light two-piece bell is made of yellow brass for optimal playability and to promote good technique and endurance. Highly durable monel alloy pistons as well as newly designed piston buttons and bottom caps help lengthen the life of the instrument while also maximizing sound quality. The 2nd and main tuning slides are produced using the same method as high-end Yamaha models, which provides stability, a more refined tonal color and added durability. The 3892 Custom Eb features a .460-inch bore and a 4.75-inch seamless copper bell for the ultimate in response with a rich dark sound. This cornet includes two mouthpipes -- the A-pipe offers a brighter "American" cornet sound and the B-pipe offers a darker "British" Band sound. Key: Eb Bore: .460-inch. Leadpipe: Interchangeable Tuning Bit Tube Design. Leadpipe Material: Gold Brass. Bell: 4-3/4-inch Seamless. Bell Material: Copper. Valves: Nickel Silver Piston. 1st Valve Slide Adjustment: Thumb Saddle. 3rd Valve Slide Adjustment: Fixed Ring. Features: Copper Bell; Interchangeable Tuning Bit Design. Case: Yes. Mouthpiece: Yes. Finish: Lacquer, Silver. The new Prestige line of Besson euphoniums have the same wonderful sound associated with the 900 series instruments but has been designed to meet the needs of todays euphonium professionals. Developed in conjunction with Steven Mead, these are fine instruments with the soloist in mind. Many new design features, combined with a strikingly beautiful appearance will ensure the Prestige euphonium its place in history as the world leader in euphonium design. Players will adore the sound, the control over all aspects of tuning (with the famous trigger feature as standard) and the playing comfort that the Prestige offers. From the company with a long tradition of excellence in brass instrument design comes this new Prestige euphonium which is the result of years of experience and listening to the best players in the world. The Miraphone M5000 Ambassador Series Compensating Euphonium is an ergonomic model designed for smaller hands. Its 4th compensating valve is within comfortable reach making this a comfortable euphonium for those who have difficulty with compensating valves. This euphonium also possesses a .610 to .638 graduated bore and an 11.5 yellow brass upright bell. The M5000 also has a gold brass leadpipe for improved resonance. This instrument comes with a large shank mouthpiece and a case. 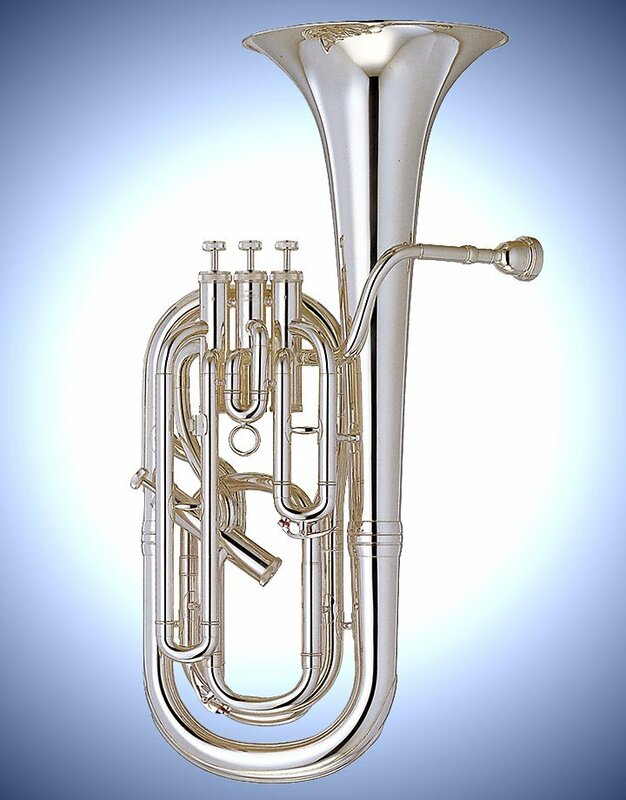 The Miraphone M5000 Ambassador Series Compensating Euphonium comes in a lacquer or a silver finish. The 975 Series features a .580-.610-inch dual bore plus a compensating valve system in a traditional 3 top and 1 side valve design. 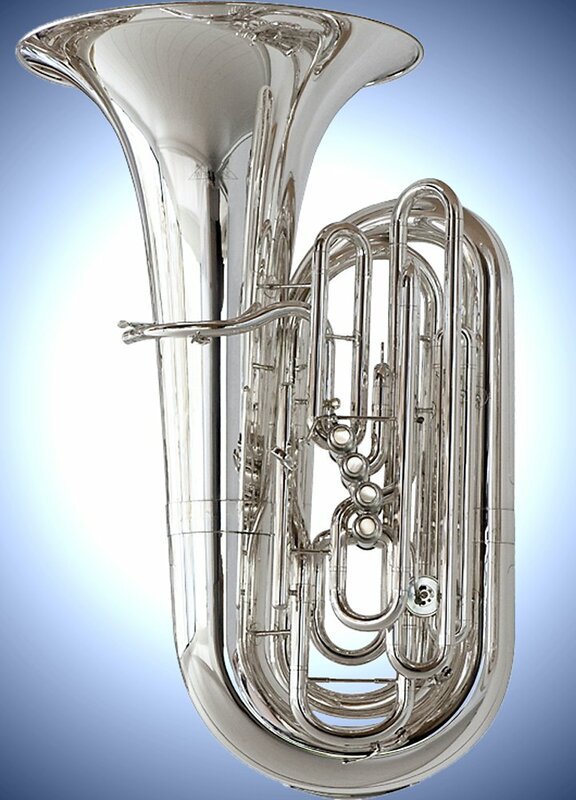 The King 2280 soloist model EuphoniumThe King 2280 soloist model euphonium has established a new standard for tonal excellence and evenness of scale-the chief attributes of any serious euphonium. 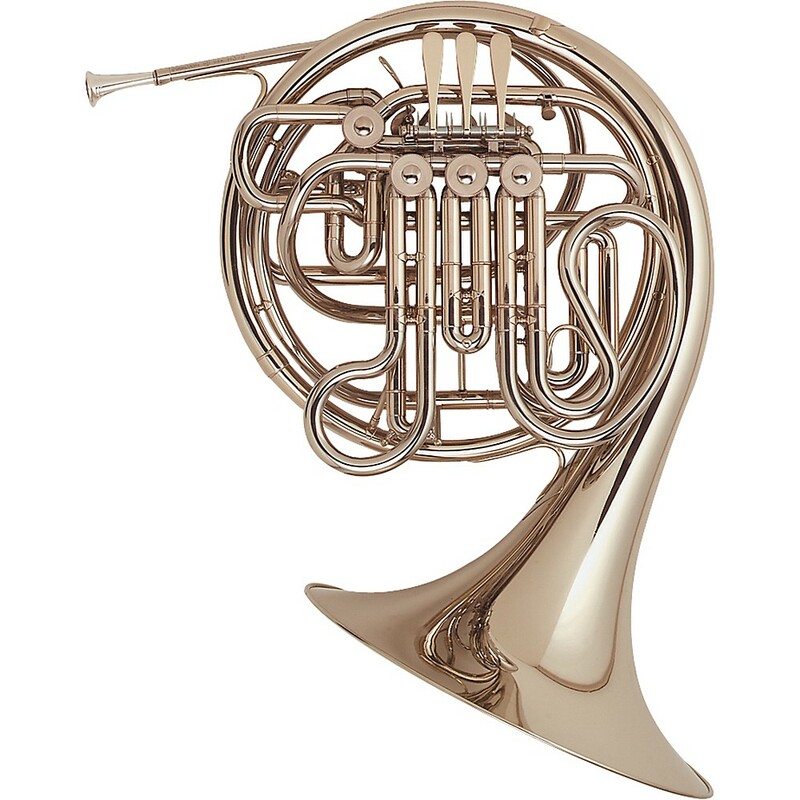 This model's duo-bore design (.580"/14.73mm in the first three valves and .600"/15.24mm in the fourth valve) and 11"/279mm seamless heavy yellow brass bell give it a uniquely lyrical sweetness in the upper register and a majestic resonance in the lower.